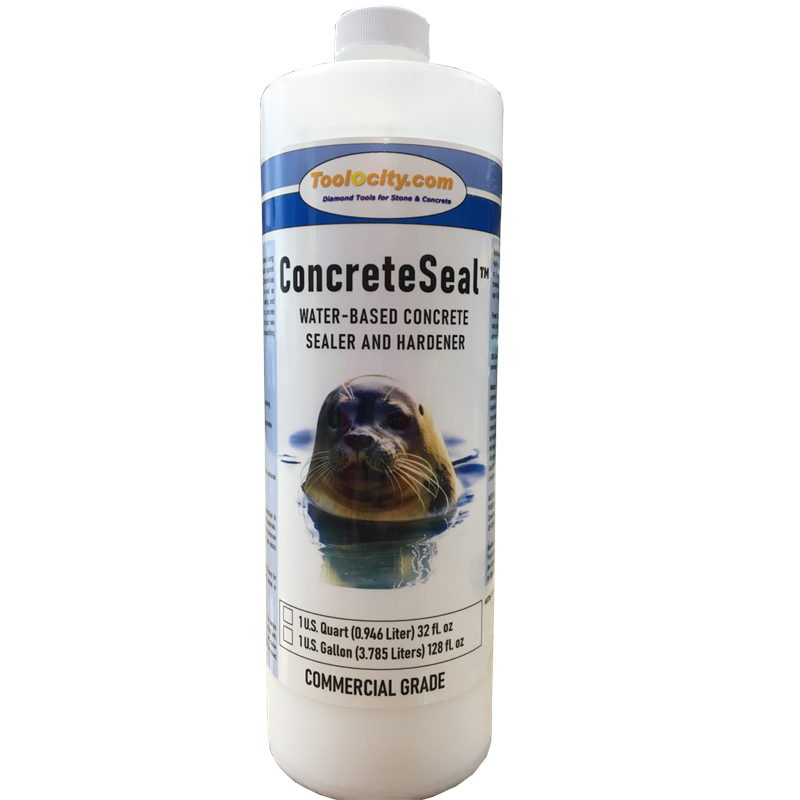 ConcreteSeal is a non-yellowing, ready to use water based curing and sealing compound that provides superior protection against moisture intrusion, dust and other foreign elements. ConcreteSeal dust proofs and hardens freshly poured concrete, as well as polished concrete, enabling it to cure properly while sealing and waterproofing to prevent freezing and cracking on concrete surfaces. ConcreteSeal provides long lasting protection to your new and/or old concrete surface, ensuring its durability while beautifying with a brilliant shine. ConcreteSeal is designed for use on new and old concrete surfaces where a medium gloss water-based sealer is specified. DO NOT DILUTE OR ALTER MATERIAL. Apply ConcreteSeal to surface after it has been cleaned and is free of all foreign materials. For older concrete clean with Muriatic Acid or use a high pressure sprayer providing 1500-3000 psi to remove detergents and debris before application. Allow sealer to dry for 24 hours for light use, at least 48 hours for heavy use, and 72 hours for concrete that regularly comes in contact with liquids. ConcreteSeal is a water based product and will freeze at temps below 32* F. Do not allow rain or moisture to come in contact with treated area for 24 hours after applying. ConcreteSeal can cause cured surfaces to be slippery when wet and should never be mixed with any other liquid. Apply with a roller or airless pump sprayer at approximately 100 sq. ft. per quart on polished concrete and 75 sq. ft. on smooth troweled concrete. Application rates may vary due to density and age of the concrete. Fresh Concrete: Apply ConcreteSeal using a pump sprayer, roller, brush, or microfiber cloth. Apply in two consecutive coats allowing one hour in between coats. Old Concrete: Apply ConcreteSeal, allowing sufficient drying time between applications. 2-4 hours is recommended.